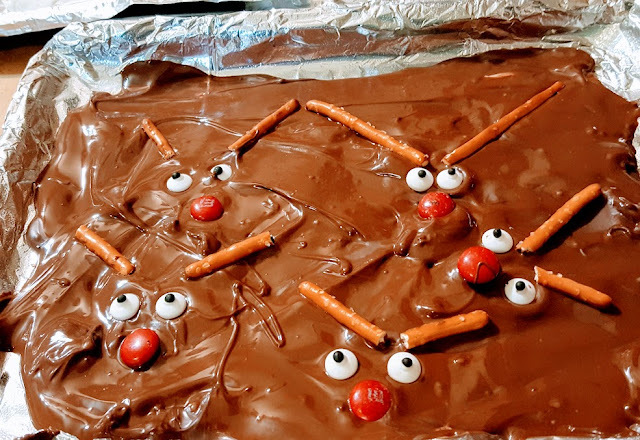 This easy Rudolph bark comes together in no time and creates a fun and festive treat to share with friends and neighbors this holiday season! This is super easy to make! It requires very few supplies and is so easy that even kids can make it! This post contains affiliate or partner links. 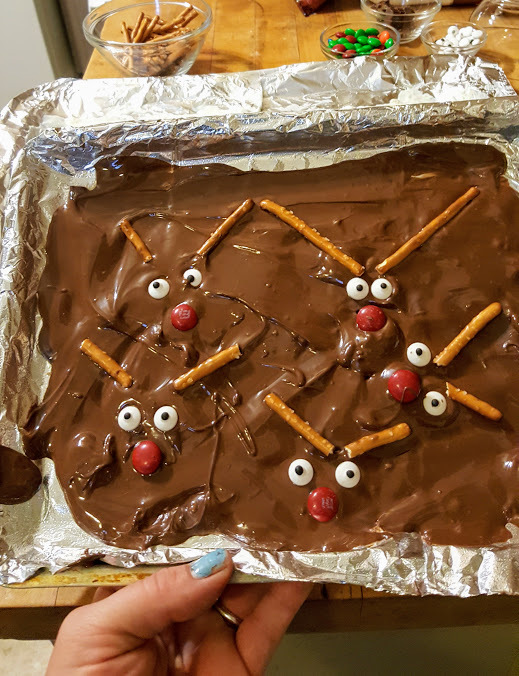 I used stick pretzels, red M&M's and candy eyes, and chocolate! 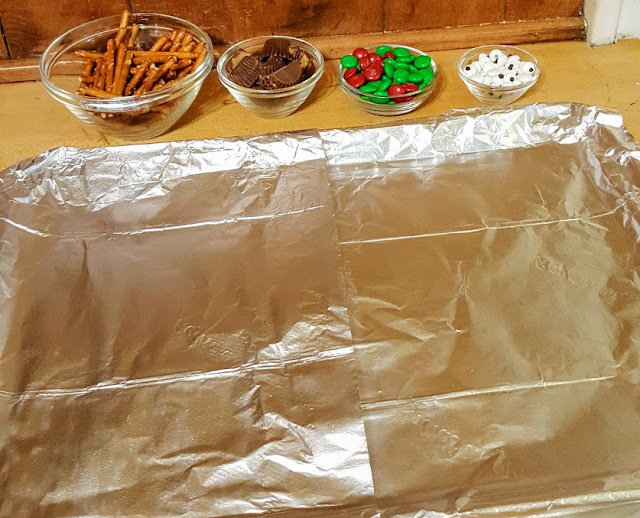 Melt the chocolate and spread it on a foil lined cookie sheet. 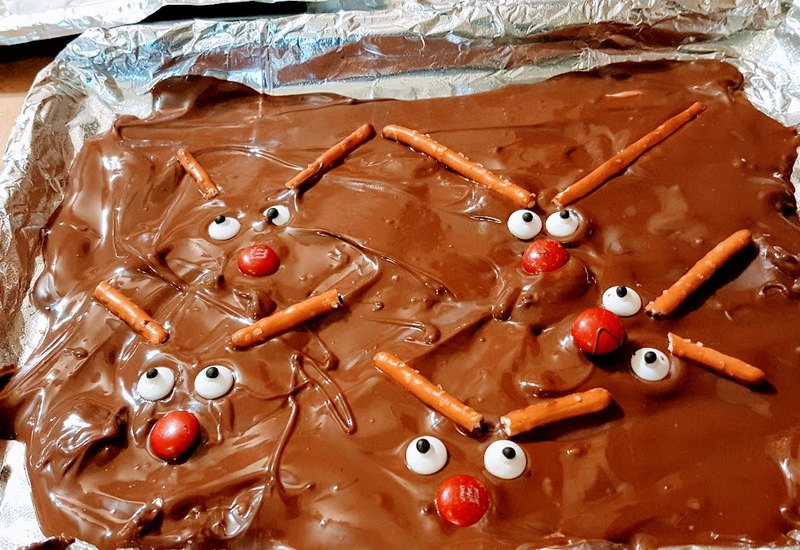 Add pretzel sticks for antlers, the eyes and one red M&M for Rudolph's nose! Allow the chocolate to cool and harden, then break it into chunks and serve or share! You might also love this Melted Snowman Bark Recipe.